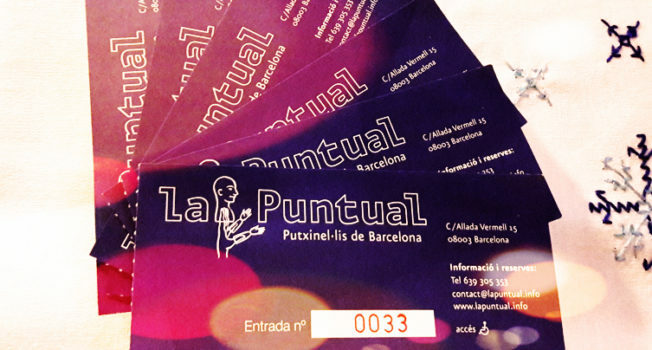 We offer you a valid season ticket for 10 tickets for all the shows that we have at La Puntual. – Reduced price of € 8 per entrance in a single payment. – Just call us and indicate what day and time you want to come. – It does not expire. – You do not have to worry about carrying it. You will find your ticket card at the box office, we will discount the tickets you use and if you prefer, we will keep it for you. 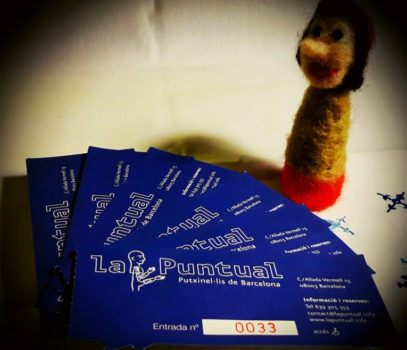 Once purchased, you must contact contact@lapuntual.info or phone us at 639 305 353 and let us know which show you would like to come in, in order to reserve the tickets. NOTE: the date and time that appears during the buying process is NOT real, but has to be filled in to the end to be able to finalize the buying. 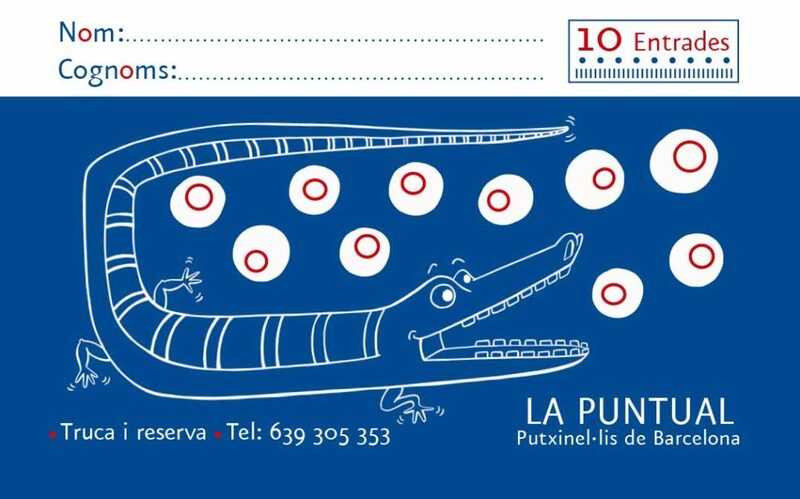 The best experience for puppet theater in Barcelona! This is how your subscription looks like.